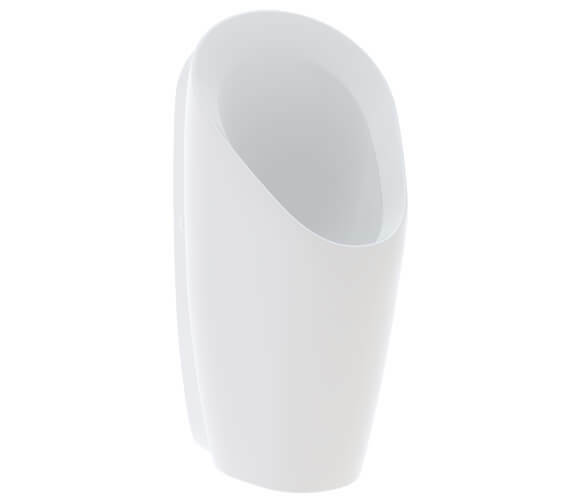 The Geberit Preda Rimless Urinal – Waterless is a sleek, rimless design that operates without water and functions with Geberit frames to ensure proper installation. Remarkably easy to maintain and clean from top to bottom, not only does this unit include a trap that can be replaced from the top and a trap adaptor that can be height-adjusted without tools, but this product also features a drainage system that can be cleaned without removal of the ceramic appliance itself. A unit that comes complete with fastening material, a hybrid trap, a drain strainer and drain assembly alongside it. 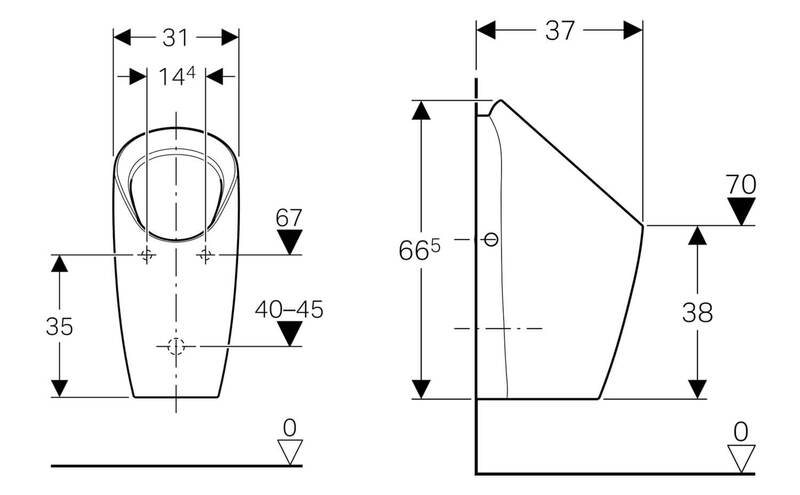 The urinal flush control installation set is for concealed installation in solid construction. choose from the option given below. Please Note: Image shown is for illustration purpose only. The Geberit urinal flush pipe comes with concealed urinal flush control. Please Note: Image shown is for illustration purpose only. High quality, strong and durable urinal waste from Geberit is available in two finishes. Please Note: Image shown is for illustration purpose only.